We all know Mich Kemeter, slackliner from Austria, free solo climber in the 8 grade and also basejumper. 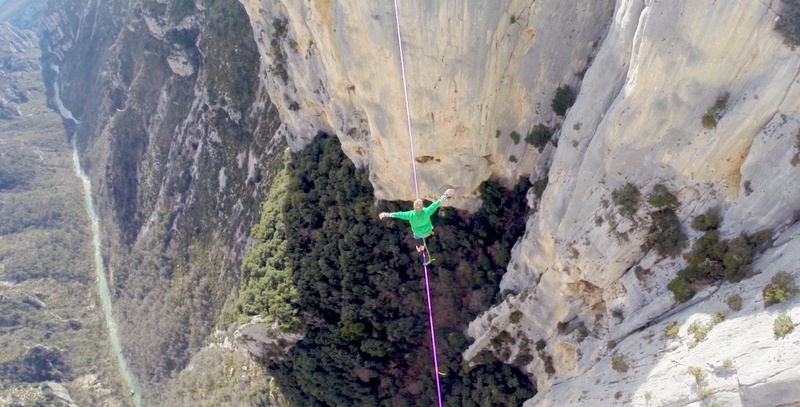 He sent a 113m highline in the verdon gorges ! The police said that they will have a permanent surveillance on highliner and will no longer accept littering, illegal camping and boiler in the area. 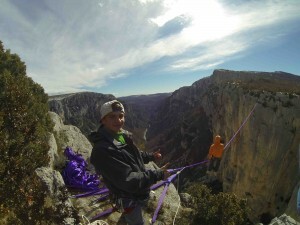 This week we were in the Verdon gorges with Pablo to film for his next video part for the film. This is the reason why we were not very active on the website. Sorry for that inconvenient. 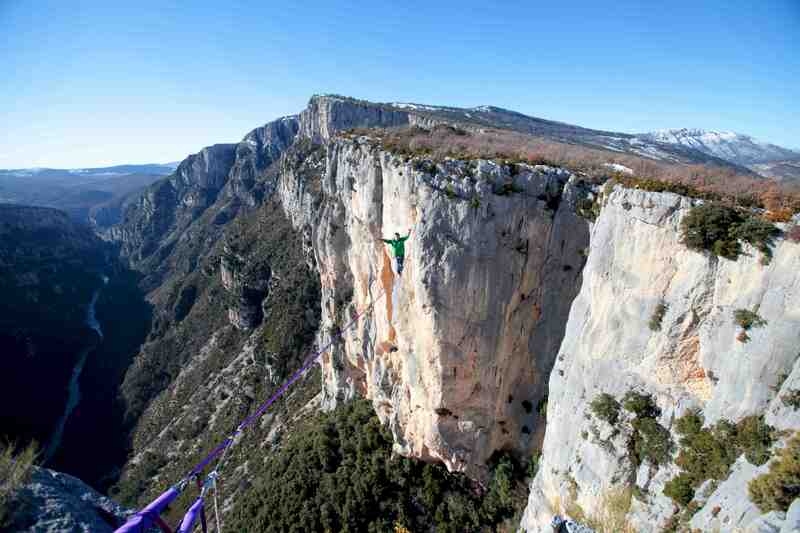 The Verdon under the snow is very charming. It’s cold, windy but it’s so quiet and peaceful… We could even have our meals on the middle of the road this there is no one there. 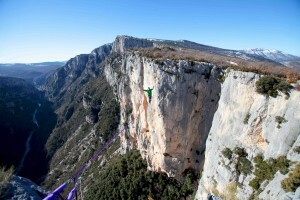 We decided to share pictures with you : Pablo sending the 100+m on polyester. 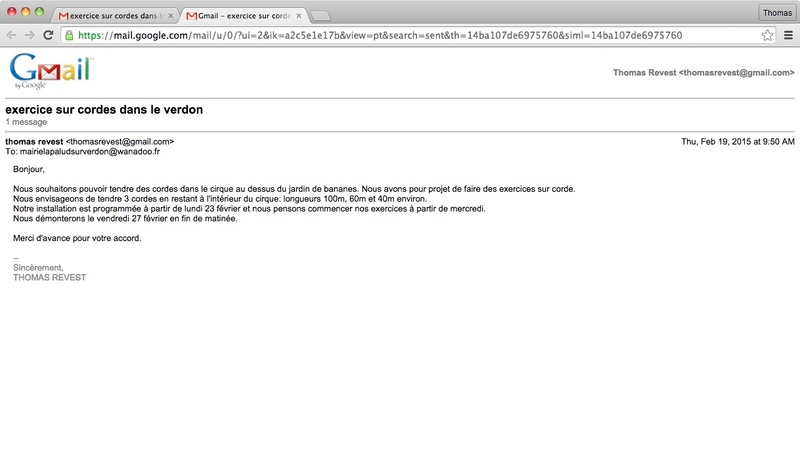 You’ll see below the email we sent to the maire/ town-hall to get the authorization to do this. Please do this process if you plan to go there. Guillaume joined us straight after the slack festival in Turkey and walked the line with only 1 catch ! Eating in the middle of the road. The laptop on the floor to post news on the site. Trip office ! 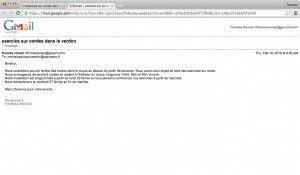 That’s the email we sent to the Maire of La Palud sur Verdon to get the authorization to set up our highlines and rope jumps. We called them before to make sure this was the process and they confirmed. So if you plan to go there, you can simply copy paste the email and change the lengths before sending it to the town-hall. Please respect the process so we can all enjoy the Verdon as it is today.